12,340 miles separates the North Pole from the South Pole. But many geophysicists believe the two points are connected. How has always been a mystery, but UNC geophysicist José A. Rial has a hypothesis — they actually “talk” to each other through a natural process called synchronization. During summer in Greenland, snow melts and bare ice is exposed to the sun. 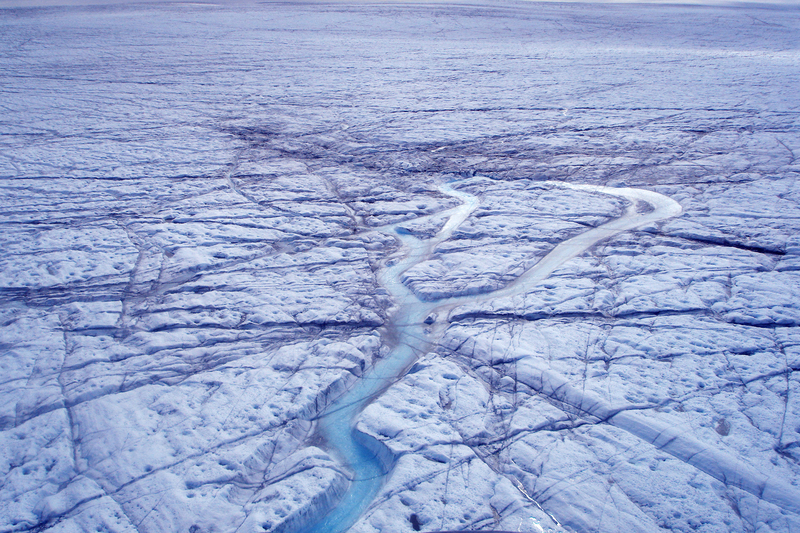 Meltwater trickles downward until large rivers form, carrying the water through the ice sheet, weakening it, and allowing large volumes of ice to easily slide into ocean. Each June, across North Carolina, the familiar twinkle of fireflies fills the evening sky. Slowly, one by one, these beetles emit a spark of light — a chemical reaction called bioluminescence. They flicker randomly until more and more of them gather together amongst the leaves. Then, an odd thing happens: They begin to sparkle in unison. “Soon enough, the entire forest is going vroom, vroom, vroom,” José Rial explains. He holds his hands in the air and, together, they pulse back and forth. This coordination of events, called synchronization, happens every day, all over the world, in different ways — from the schooling of fish, to your cardiovascular and respiration systems, to the processing that takes place in your computer. Rial believes this also occurs between the North and South Poles. For much of Earth’s history, ice ages came and went about every 41,000 years, according to paleoclimatology research. But just 1 million years ago, that pattern changed and the periods of ice began to lengthen. Today, that pattern has stretched to 120,000 years — nearly three times as long — without any concrete explanations. Although this has baffled climate scientists including Rial, he’s more concerned about the fact that we’re currently facing the end of one of those 120,000-year periods. For miles and miles, a frigid white desert stretches across the horizon — a solid mass of ice and snow that makes up the Greenland ice sheet. But as summer advances, meltwater trickles downhill, accumulating in ponds and lakes and creating shafts in the ice that, sometimes, make the 3,000-foot trek to the bottom of the ice sheet. Today, Greenland moves approximately 150 cubic miles of ice to the ocean every year. Rial spent five years (from 2006 to 2011) flying over the ice-covered country, hammering small seismic sensors all over the ice sheet. “I needed to understand the beast,” he says. “To see the glaciers, see how they move, see how they behave during warming seasons.” As the ice cracks it produces hundreds of micro-earthquakes — events that Rial recorded with seismometers to determine the location of major, growing cracks, which create large volumes of unstable ice. “Seeing those icebergs come down,” he says — and pauses, at a loss for words. He switches to an analogy. These masses of ice work like buttresses in a cathedral, he explains, and if you take away the buttresses, everything comes crashing down. A collapse of the frigid slabs surrounding Greenland could potentially lead to a 2-meter sea-level rise — and change the climate for the entire planet. What happens to a world where the sea level has risen 2 meters (six feet)? Rial admits that this research becomes grim at times — the unknowns overwhelming. 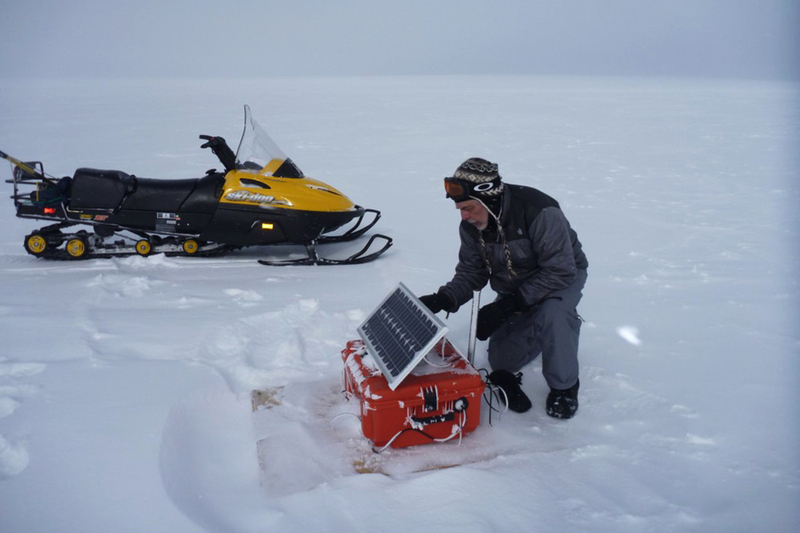 So while he spends the next four years continuing to analyze ice core data with his research team, he’s also looking ahead toward a brighter future. In 2010, just two years before he developed the hypothesis for polar synchronization, Rial began the North American Renewable and Neutral Energy Alliance (NARNEA) — a project with undergraduates focused on harnessing and connecting renewable energy resources using smart grid and microgrid technologies. On the project website, a map of North America bursts with symbols representing the availability of energy sources in certain regions. Blue windmills surround ocean communities, while orange solar plants line desert regions. “The West, of course, has geothermal and solar energy,” Rial points to the map. “The United States, alone, has enough geothermal energy to power the entire country for the next 40,000 years.” Clean and sustainable, geothermal energy comes from the heat of the earth —the same heat that warms hot springs and causes magma to melt. This isn’t just some dream — proof that these systems work exists, according to Rial. Just four years ago, the largest solar thermal power plant in the world began operation in California’s Mojave Dessert. The 377-megawatt Ivanpah Solar Electric Generating System uses mirrors to reflect the sun onto solar receivers atop power towers, generating enough electricity to power 140,000 homes during peak hours. What’s more, the facility will reduce carbon dioxide emissions by more than 400,000 tons per year. “This is just one indication that the United States is strongly committed to a carbon-free economy,” Rial says. José A. Rial is a professor and the director of graduate studies for the Department of Geological Sciences within the UNC College of Arts & Sciences. Thomas Clerkin is majoring in exercise and sport science within the UNC College of Arts & Sciences. He is a research assistant for the NARNEA Project.